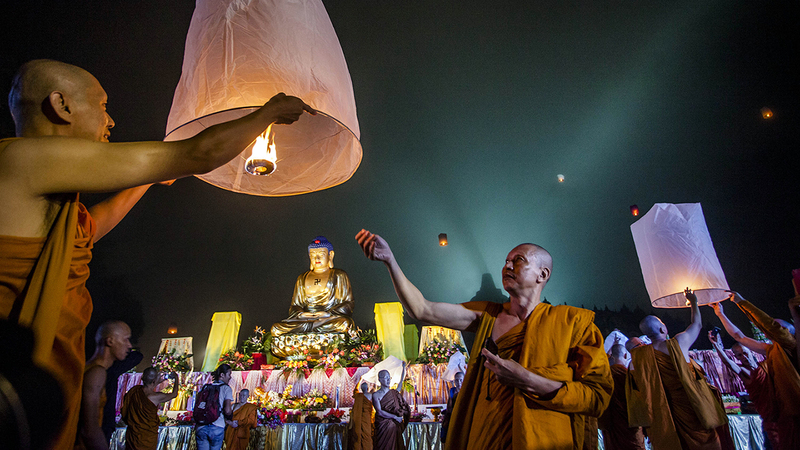 1 Buddhists made up roughly 7% of the world’s population in 2015, but they are expected to decrease to roughly 5% by 2060. This is because Buddhists have relatively low fertility rates compared with other religious groups, and they are not expected to grow significantly due to conversions or religious switching. 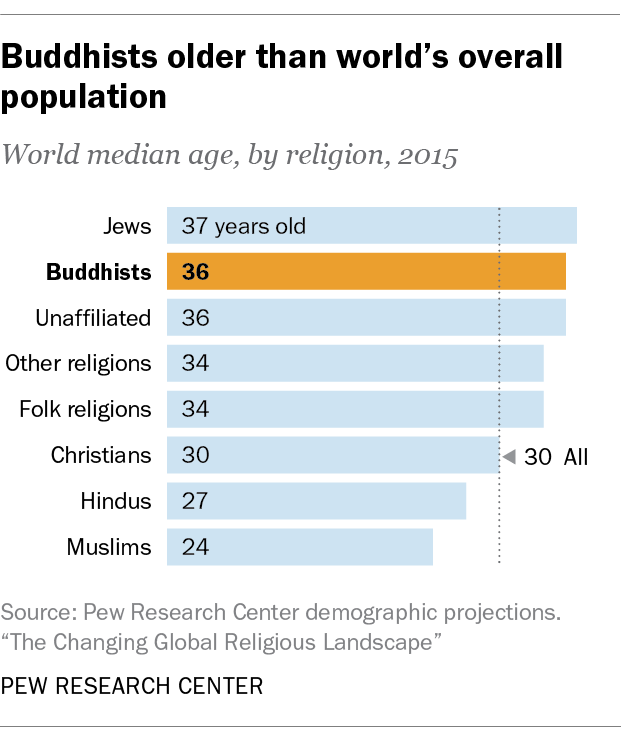 5 With a median age of 36, Buddhists are older than the world’s overall population, which has a median age of 30, according to estimates as of 2015. They also are older than people in other major religious groups, such as Muslims (median of 24), Hindus (median of 27) and Christians (median of 30). 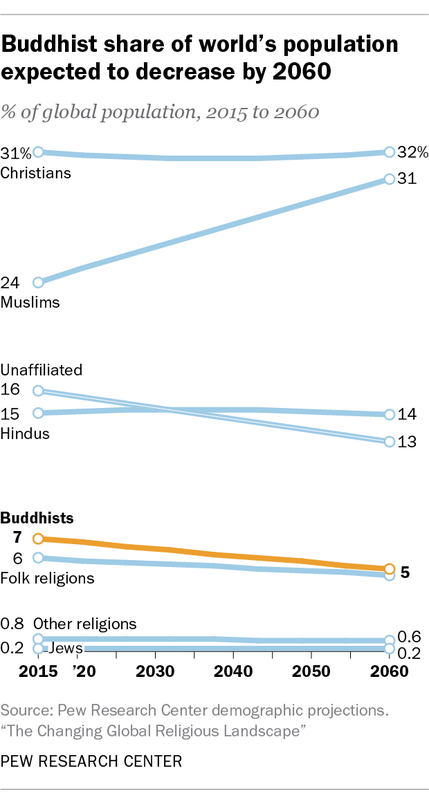 Religiously unaffiliated adults have the same median age as Buddhists (36).